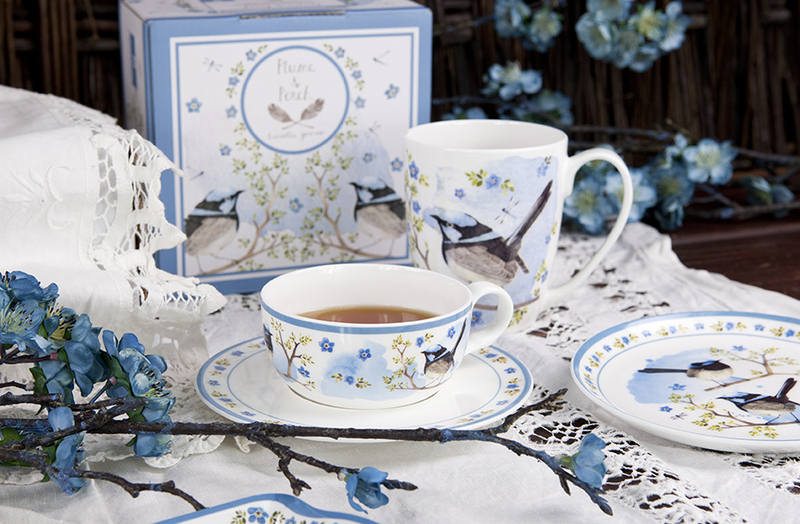 Featuring blue wrens and soft florals and foliage, the Plume & Perch tea range is perfect with an afternoon cuppa and a piece of cake. I was commissioned by Ashdene to produce this delicate tea range which includes tea cups and saucers, cake plates and tea pots, aprons, pot holders and oven mitts. You can purchase the Plume & Perch range in selected homewares stores, Myer and also online here!